A crossbreed is the offspring of two specifically chosen purebred parents with the hope of gathering the very best traits of the two parental breeds. The health of purebred dogs has long been a controversial topic, solely because of the excessive breeding in purebreds over generations in order to maintain certain breed standards. However, excessive breeding can cause the gene pool is subsequently shrinking, so people decided to take up crossbreeding to prevent this from happening. The Corgi Golden Retriever mix is a newer generation crossbreed whose origin is still little-known. If we take a look at their parents origin, we might discover something. In medieval times, Corgi dogs are very popular among the upper-class people. They mainly raise the dog to show off the wealth to the guests. Since the 1800s, the Corgi breed is separated into two main branches, namely the Cardigan Welsh Corgi and the Pembroke Welsh Corgi. In fact, there are still much more to talk about the Corgi. They posses not only the corky look but also a squat build and bright intelligence. Likewise, the Golden Retriever is a Scottish breed, created to be a rugged, resilient dog that could handle the harsh terrains. They are regarded as hunters’ best companions back in the day. The Golden Retrievers made their way from Scotland to America and Britain in 1908 and quickly became popular among dog lovers for their sweet and affectionate nature. 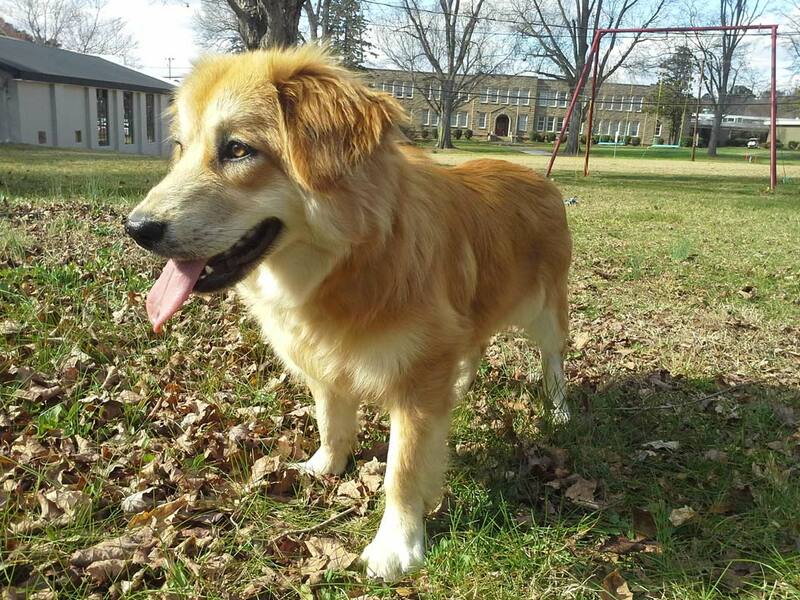 Due to the difference in their purebred look of their parents, the Corgi Golden Retriever Mix may vary in traits. In addition, the Corgi parent can be either the Pembroke Welsh Corgi or a Cardigan Welsh Corgi. Your Corgi may end up looking a number of ways, depending on many factors. The Pembroke Welsh Corgi are known to be short and have a thick coat. Their coat color varies from fawn, black and gold, blue belton, tan, blue to sable. Likewise the Cardigan Welsh Corgi have almost the same size, but smaller ears and a long tail. Their thick coat can come in five color: blue belton, brindle and white, red and white, sable and white or blue merle and white. On the other side, the Golden Retriever are about 21.5 to 24 inches in height and 55 to 75 pounds in weight. They are popular among dog lovers for their luscious, “gold” fur. The thick and dual-layered can come in four shades: golden, cream, dark golden and light golden. Along with their coats, the Golden Retrievers also have wide brown eyes and long floppy years. Consequently, the Corgi Golden Retrievers will be fairly small in weight and height. Also, since this is a crossbreed dog, the physical appearance can be hard to pick and nail down. Being a hybrid, the Corgi Golden Retriever is left up to chance depending on which behavioral traits are inherited from the parents. Regarding the Corgi, with their fun-loving disposition, clever mind and adoring personality, it is common sense that they are many people’s favorite. Corgi, brought up by the upper-class since the very beginning, have a big-dog ego and can be bossy sometimes. They are not really keen on families with very young children, and many say the Corgi do best if the kids are older than eight years of eight. Note that this breed is especially smart and have a tendency to be liberal thinkers. Thus, it is a bit tricky to discipline them. With very much the same intelligence but far better attitude, the Golden Retriever have been the family favorites for a long time. Unlike the Corgi breeds, the Golden Retriever make an excellent pet for all families, even with those with very young babies. They are playful, gentle and incredibly patient. The breed can be be quite energetic and behave puppy-like, even into adulthood. With such great nature, the Golden Retriever are eager to please and easy to train. Considering all the above information, a prospective Corgi Golden Retriever Mix owner can expect a crossbreed that is intelligent, playful and loving. However, it is a 50-50 chance that your pup can deal with kids, so will the ease of training. A Corgi has a lifespan of 12 to 15 years, while a Golden Retriever can live up to 12 years on average. So we are talking about an offspring with a lifespan between 11 and 14 years. As a crossbreed dog, a Corgi Golden Retriever can be susceptible to any health concerns their purebred parents are prone to. Let’s begin with the Corgi. They are known to have intervertebral disc disease, lens luxation, hip dysplasia, urinary stones, degenerative myelopathy, epilepsy, von Willebrand’s disease, progressive retinal atrophy and obesity. Also, the Corgi are known to have a type of dwarfism called Achondroplasia that can be passed down to their puppies. Although Achondroplasia is the reason for the pups’ renowned squat build, it can cause discomfort and agility problems to your dog. The purebred Golden Retriever is most predisposed to subaortic stenosis, hypothyroidism, eye issues, osteosarcoma, seizures and mast cell tumors. It is recorded that the Golden Retriever can have cancer, so ask the breeder whether there is any family history of the disease. If so, you should move on to another Golden Retriever. Get a slicker brush and give your Corgi Golden Retriever a good brush two or three times a week to help them get their hair under control. However, you might want to give him/her a decent brushing everyday during shedding season. Also, don’t forget to trim the nails so that they would not crack or split. Ear checking and cleaning to prevent infection is advisable as well. The level of training is based on the temperament you Corgi Golden Retriever inherits from their parents. The Corgi tend to be independent thinkers and may be stubborn or misbehave sometimes, whereas the Golden Thinker are eager to please and pledge to make you proud. However stubborn or obedient your pup is, it is up to your treat-based reward system that helps form your dog’s personality. Both the Corig and the Goldie are sensitive, so their offspring is by no means going to get along with harsh corrective from the owners. In terms of exercising, the Corgi Golden Retriever is a herding breed that love to run and play. It is recommended that you give your dog a nice daily walk, as well as some outdoor fun to meet their exercise needs. A few frisbee games, a romp in the backyard, a trip to the park or a fun game of fetch is going to get the job done just fine. The crossbreed is an averagely active dog. You should feed your pup with two cups of dog food a day. Don’t let them eat too much fillers that is valueless in terms of nutrition. Adopting a Corgi Golden Retriever means having an intelligent, loving and affectionate pup. Though they can be stubborn sometimes, the crossbreed is overall eager to please their owners and make them proud. The breed is fairly active and playful. Both the Golden Retriever and the Corgi are known be prone to quite a lot of health issues, there can be a chance, even the slightest, that your pup have these health issue as well. Also, the Corgi Golden Retriever is quite sensible, so a gentle and decent training program are recommended. The Corgi Golden Retrievers are intelligent and fun-loving dogs who enjoy being around people. They are likely to require a loving home and bond tightly with their owners, so if you are someone who have plenty of free time, a crossbreed like this is definitely fits you. The Corgi-Goldie breed may not be suitable for every young children, so reconsider adopting one if your baby is younger than eight.